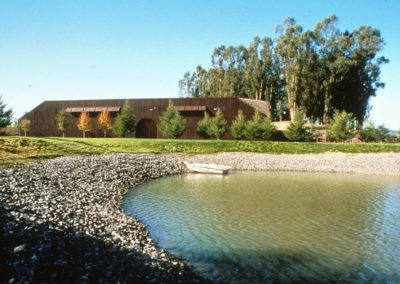 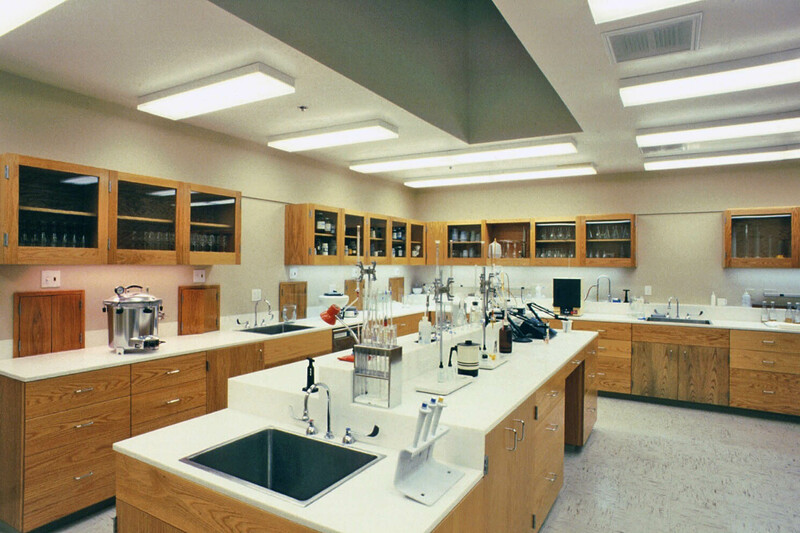 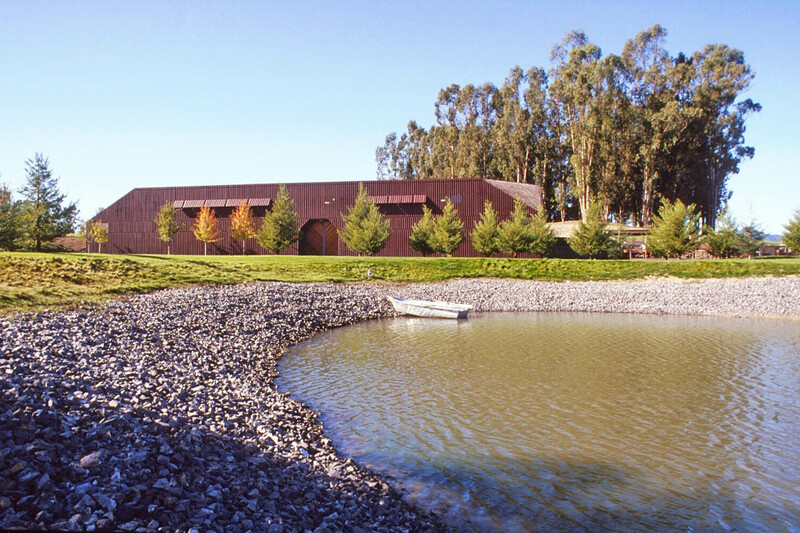 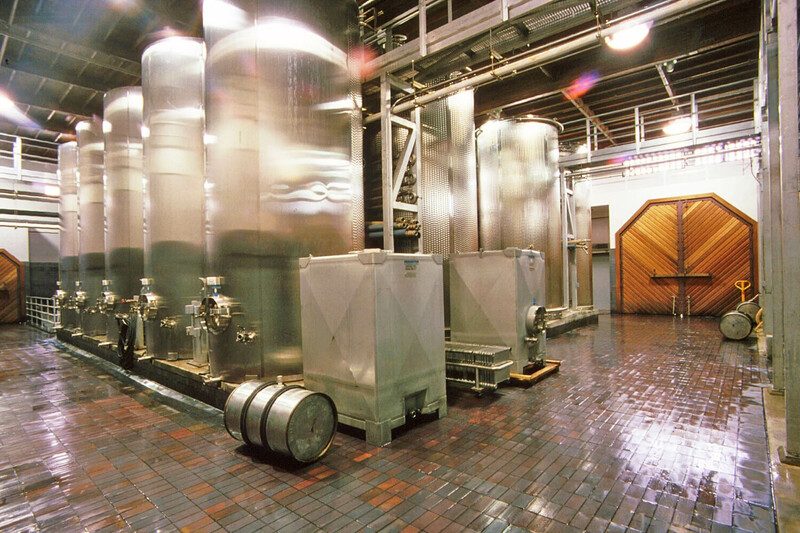 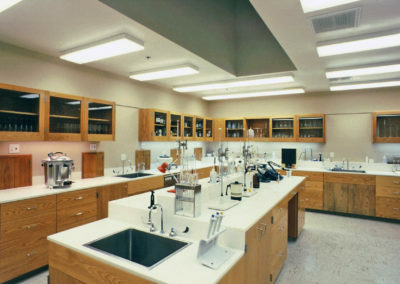 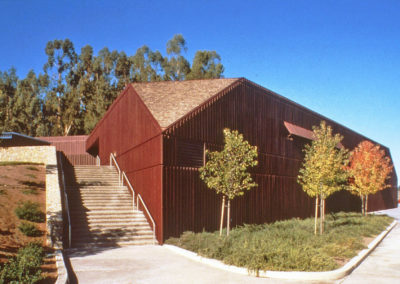 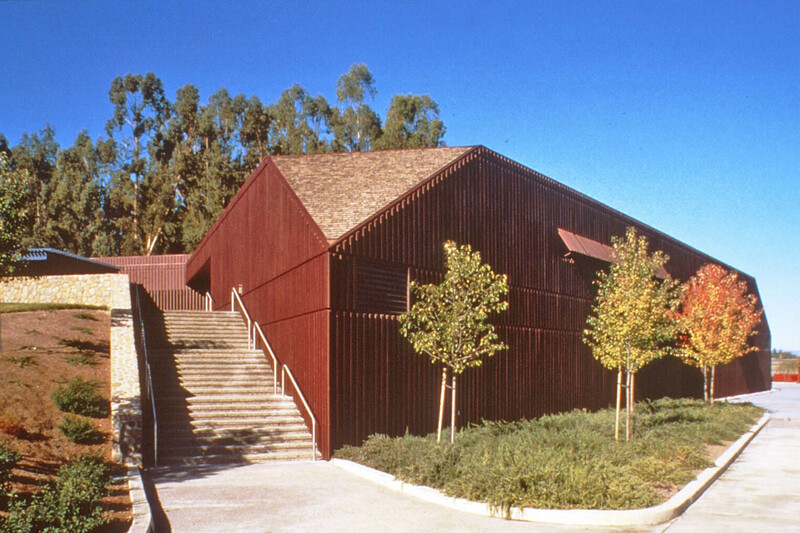 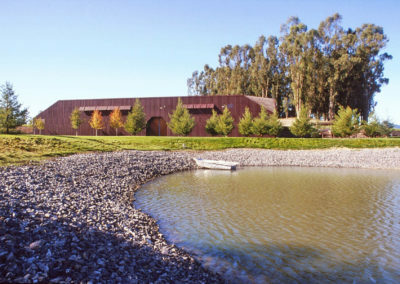 This unique facility of 4,000 sf includes a tasting room, laboratory, offices, and an aging cellar. 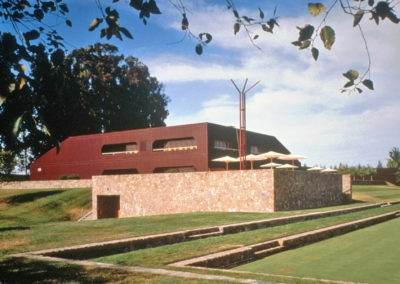 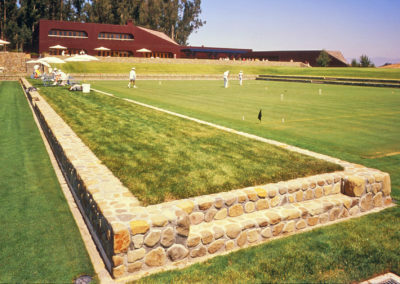 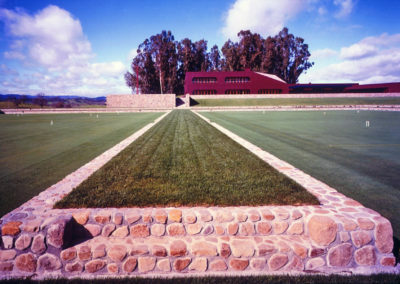 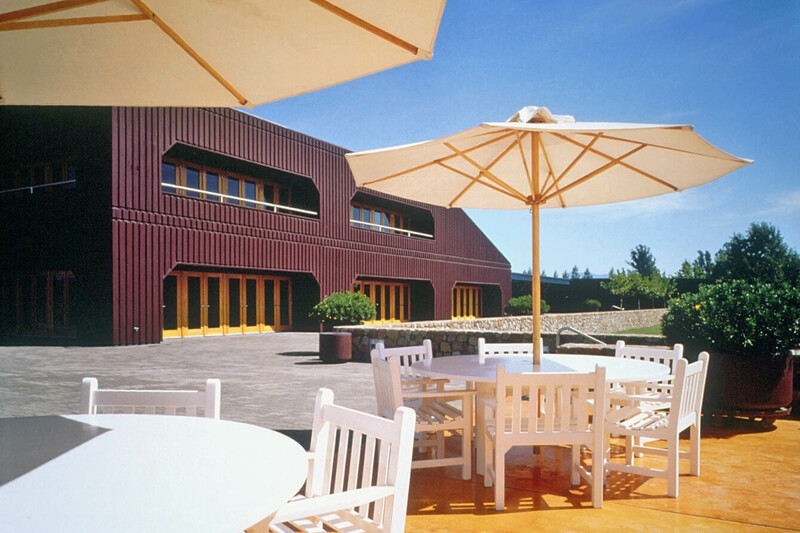 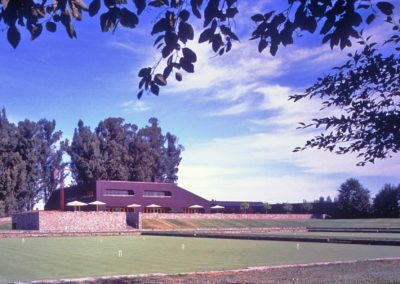 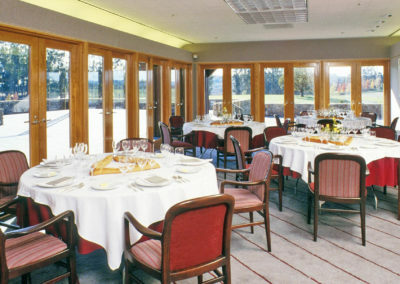 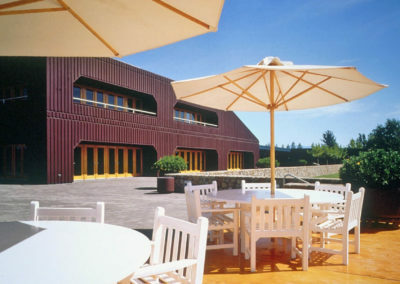 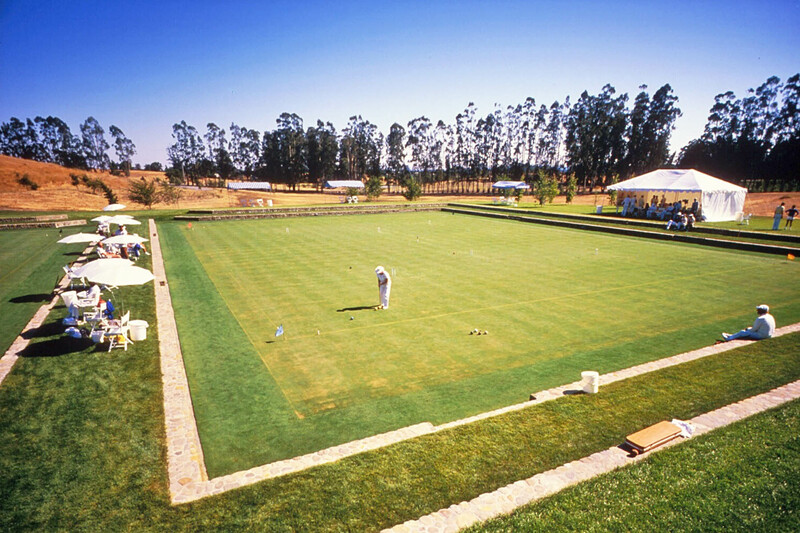 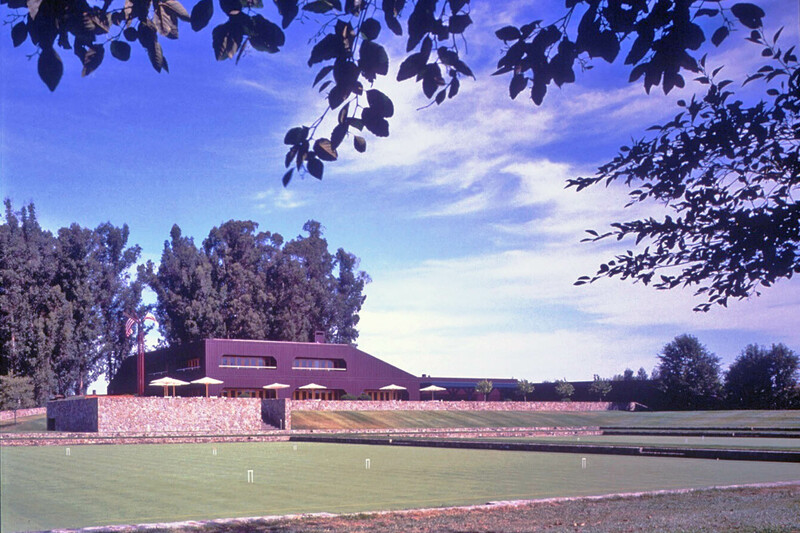 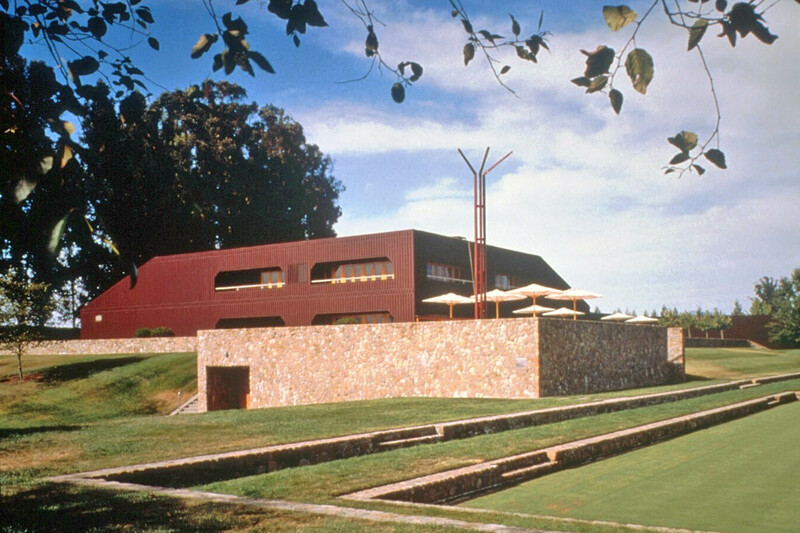 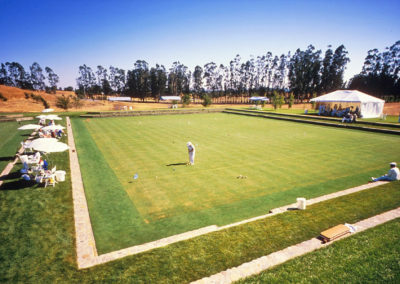 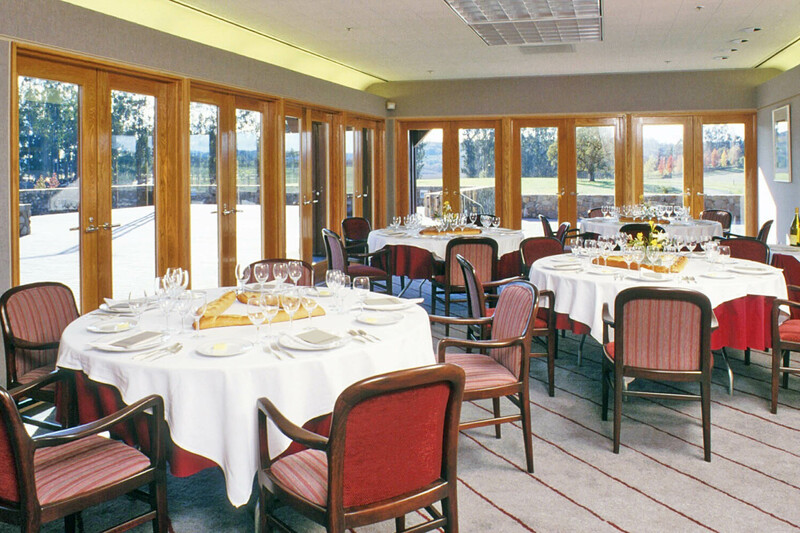 The facility is host to the annual World Championship Croquet Tournament on its two regulation size croquet courts on the grounds of the winery. 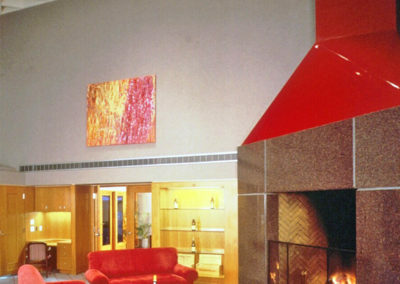 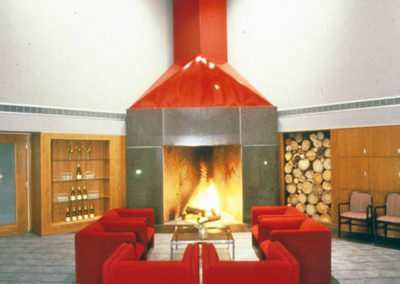 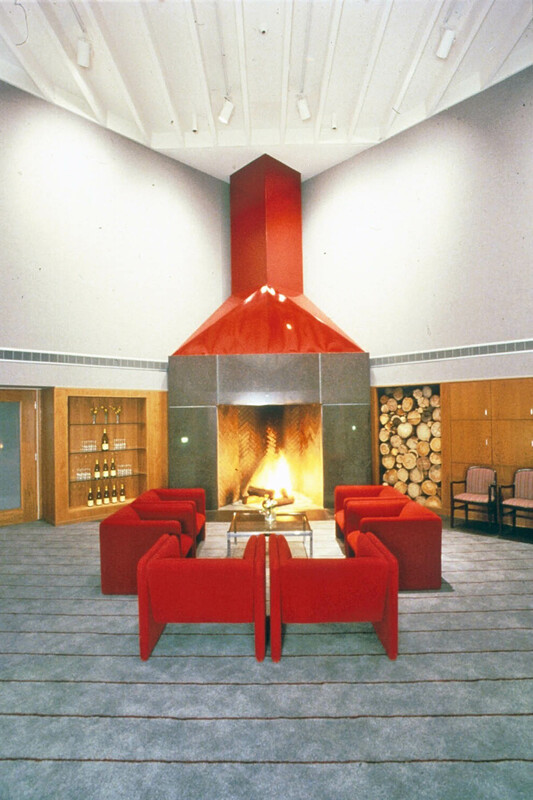 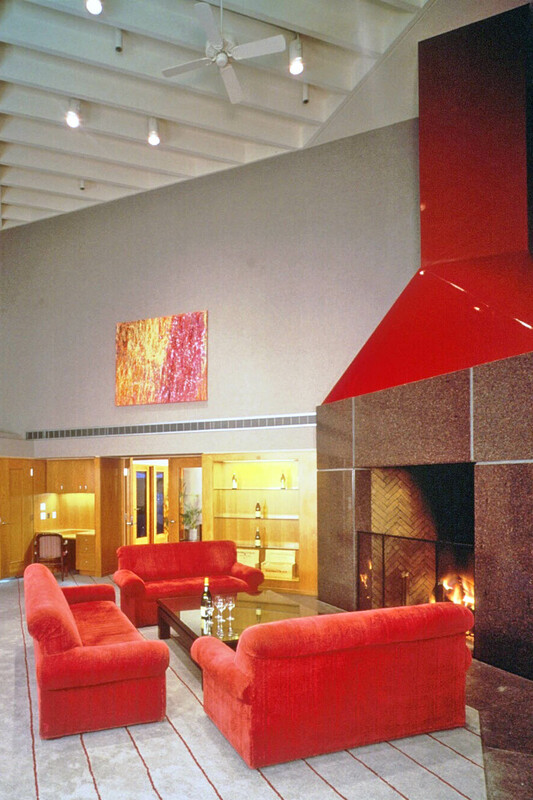 The tasting room, boardroom and circulation spaces all serve as art gallery spaces for permanent and temporary exhibits. 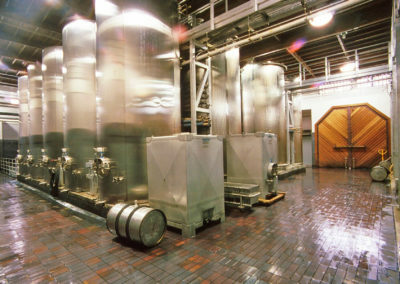 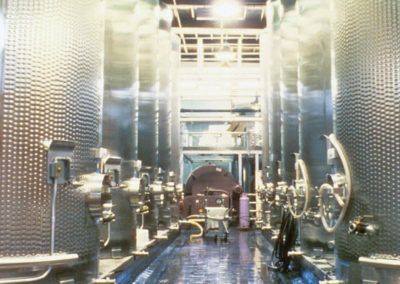 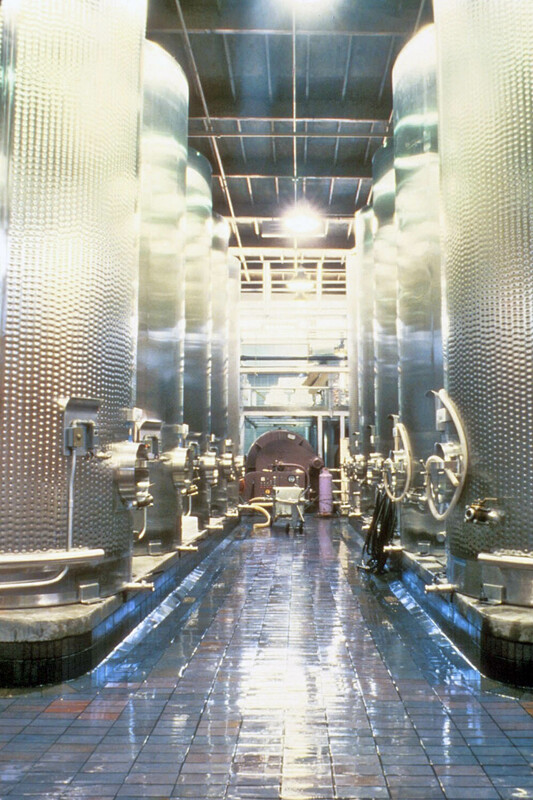 Features include reception, tasting room, hospitality and banquet room, kitchen, vineyard master case warehouse, bottling line, humid corks, transfer tanks, bacteriology, wine maker, administration, laboratory, professional tasting, employees lunch room, control area, grape cooling, sorting area, press (crush) area, jacketed stainless steel fermentation, centrifuge, catwalks, equipment and mechanical rooms, barrel fermentation and aging cellars, industrial lift, delivery, parking, terraces, landscaping.